Geneva - Dozens of recent death sentences have been issued against political opponents of the ruling al-Houthi group on charges of communicating and collaborating with hostile foreign parties, reported the Euro-Mediterranean Human Rights Monitor and SAM Organization for Rights and Liberties in a joint press release today. These sentences have been issued by the Criminal Court in Sana’a City, which investigates terrorism and matters of state security. Since the beginning of the yet-ongoing armed conflict, the court has issued dozens of death sentences against political and military opponents, as well as supporters of the Arab-led coalition forces to support the Yemeni government. Dozens of undeclared executions have been carried out by the Houthi group via the abuse of judicial power and by extrajudicial killings. Most of the Court's trials relate to political affiliations and are politically motivated. Most of the verdicts pronounced have been preceded by a series of grave violations against the detainees before and during their court trials, including forced disappearance, physical torture and secret transfer from one facility to another for several months. Detainees’ families have not been informed about their places of detention nor have they even been allowed to see their parents or to contact a lawyer, let alone being blackmailed and robbed. Mass executions appeared recently after the killing of a leader in the group named Saleh al-Samad, by an airstrike carried out by the Arab Coalition Forces in Hodeidah City. On April 30, the court sentenced 11 defendants to death for collaborating with foreign countries, providing assistance to Saudi Arabia and the Coalition in Yemen, or fighting alongside government forces, including Issa Ali Jubran Abu Salah and Muhammad Hadi Ali Zafar, and Bakil Dahan Jaber Abu Said, who was arrested in September 2016. Earlier, on January 30, 2018, the Specialized Criminal Court sentenced to death Asma Mater Al Amisi, 22, a mother of two, in addition to Said Al-Ruwaished and Ahmed Bawazir, on charges of spying for the UAE and aiding the Arab Coalition in the war against Yemen. The group also sentenced Mater Al Amaisi to 15 years in prison. The three defendants were arrested at a checkpoint in Sana'a in October 2016. In addition to the death sentence, Asma al Amisi was sentenced to 100 lashes for committing “inappropriate behavior;” traveling with persons who were non-mahrams. Al-Amisi was denied a lawyer, the court continued its own proceedings ignoring the defendant's’ right to defend herself. Al-Ruwaished and Bawazir were tried in absentia after they managed to escape from prison and move to areas not under the Houthi group’s control. The Sana'a Specialized Criminal Court also played a prominent role in numerous death sentences against Yemeni journalists and opinion activists. On April 12, 2017, the court managed to sentence the 63-year-old journalist, 'Abd al-Raqib al-Jubayhi, to death in a two-session trial for communicating with a foreign state. In January 2018, the same court sentenced the activist Hamed Haidara to death and took his money based on charges of belief. Haidara, whobelongs to the Baha'i Yemeni minority, was arrested in 2013, and is still in detention until the moment. He is sentenced to death based on accusations of acts affecting the independence of the Republic of Yemen, insulting Islam and working for a foreign country. Euro-Med Monitor and SAM for Rights and Liberties expressed their deep concern over the case of the 36 detainees taken by al-Houthi group for assassination or espionage in favor of the Arab Coalition. The last trial session was held on April 1, after nearly 22 hearings for a full year. During the previous court session on 4 March, the Prosecution failed to bring 14 witnesses whose written testimony was only recorded without ever appearing before the Prosecution or the court. A defendant named Abdul Aziz al-Hakami could not be brought to the courtroom during the hearing because of his disability, which only occurred inside the prison. The defendant's lawyer stated that the court decided to hold the next hearing on 13 May 2018 so that lawyers can present the rest of their procedural and substantive arguments. Lawyers came later to know that a closer date (29 April) was chosen for the hearing at the request of the Prosecution. Sources inside the prison also reported that the detainees had been subjected to torture. 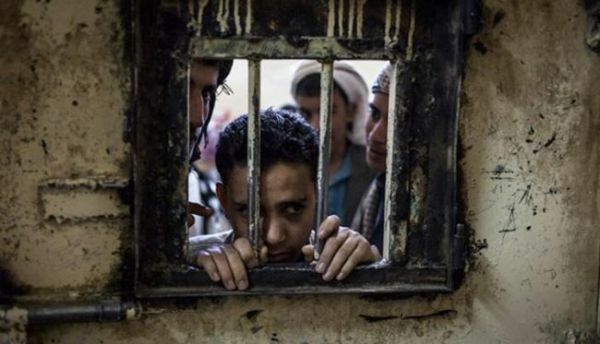 The Euro-Mediterranean Human Rights Monitor and SAM Organization for Rights and Liberties call on all the concerned parties to exert pressure on the Houthi group to end their policy of politicized sentences against dozens of Yemenis on trumped-up charges and baseless legal grounds.